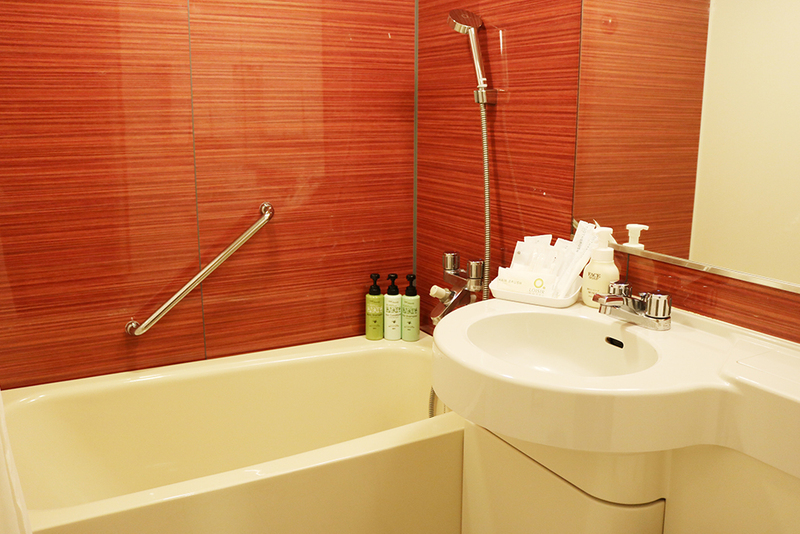 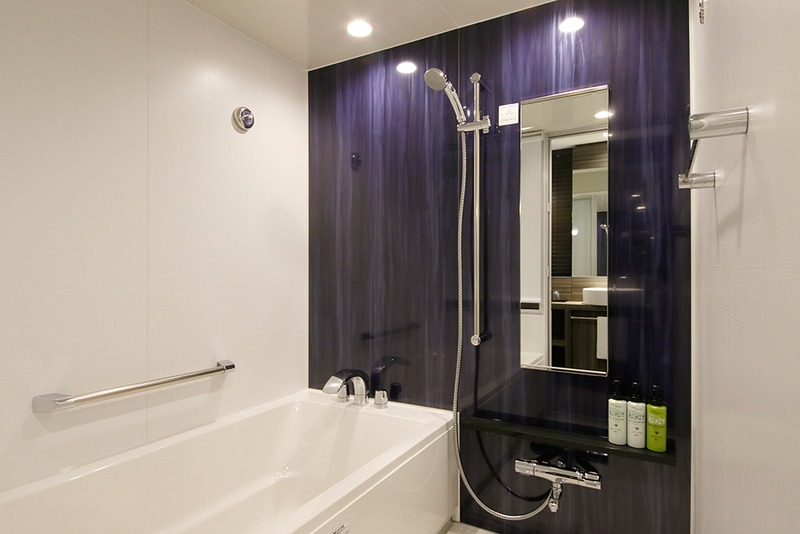 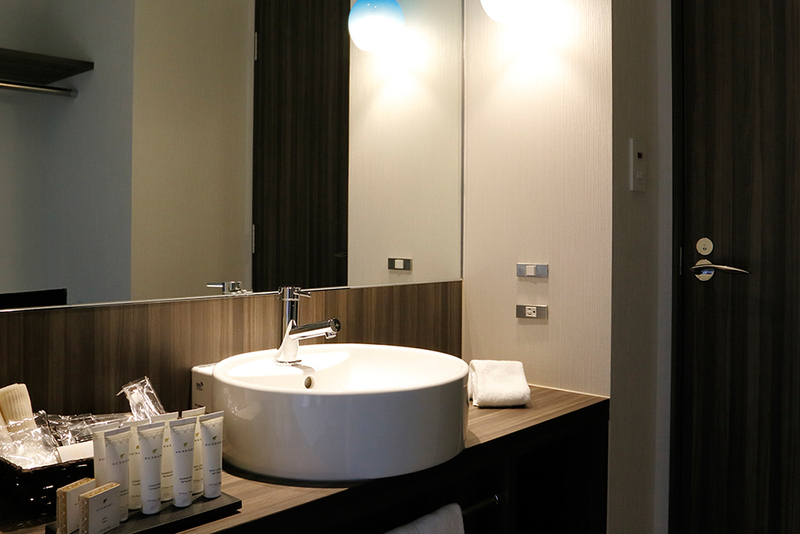 A suite room with large windows and a spacious, glass-walled bathroom. 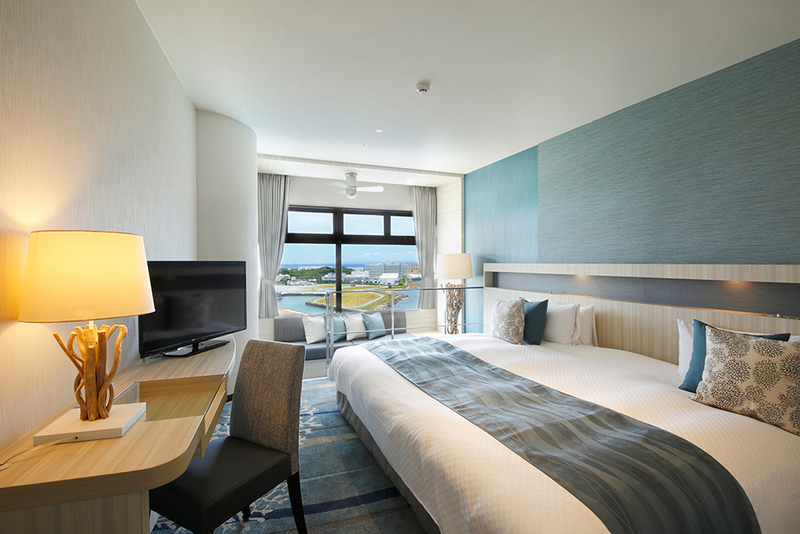 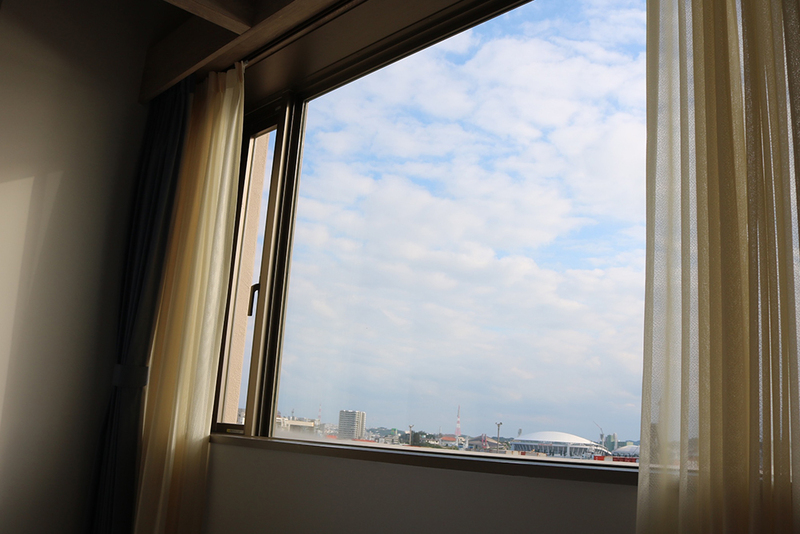 Enjoy a relaxing time, far from your daily cares, as you look out over the ever-changing Naha Port. 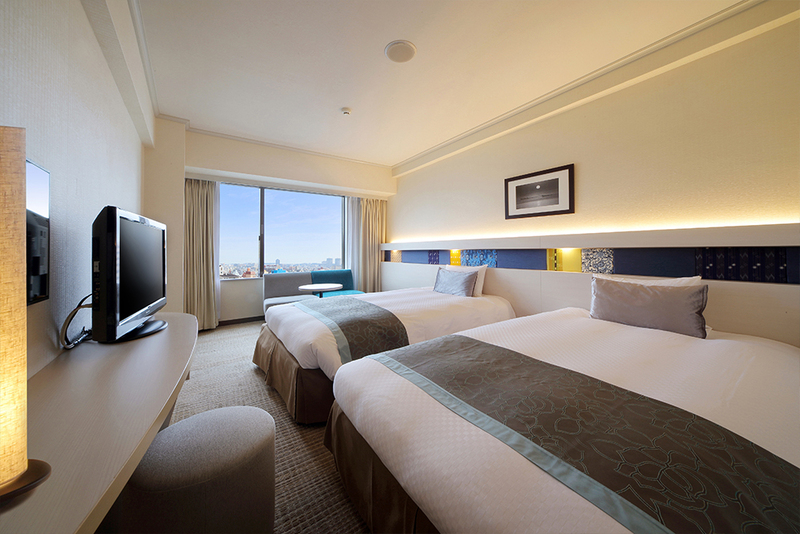 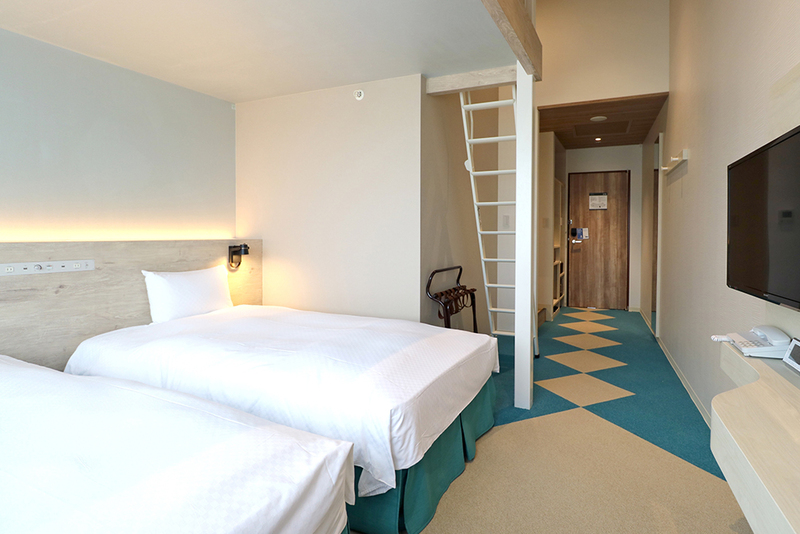 The room comes with two 240-cm-wide king beds. 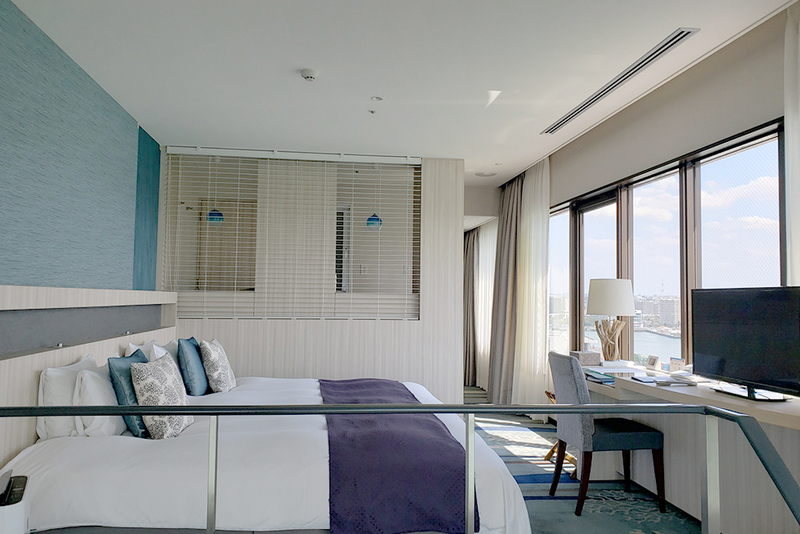 A Western-style suite room with a balcony. 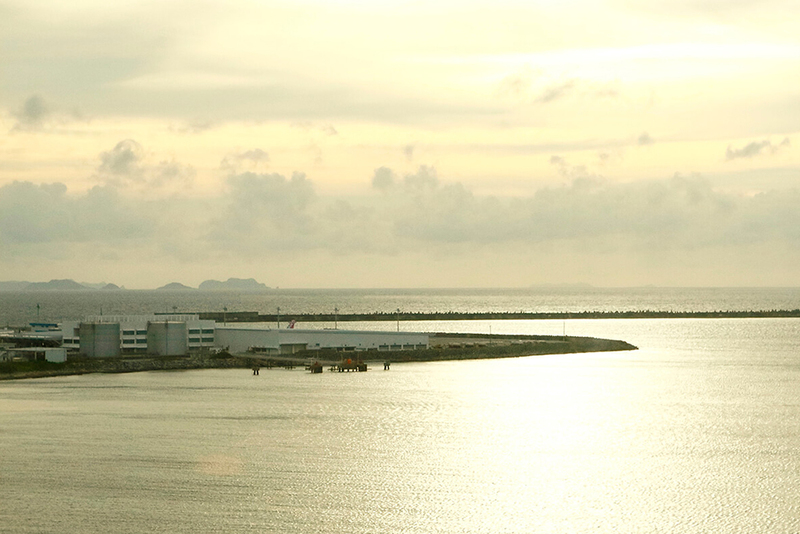 On a clear day, you can see as far as the Kerama Islands. 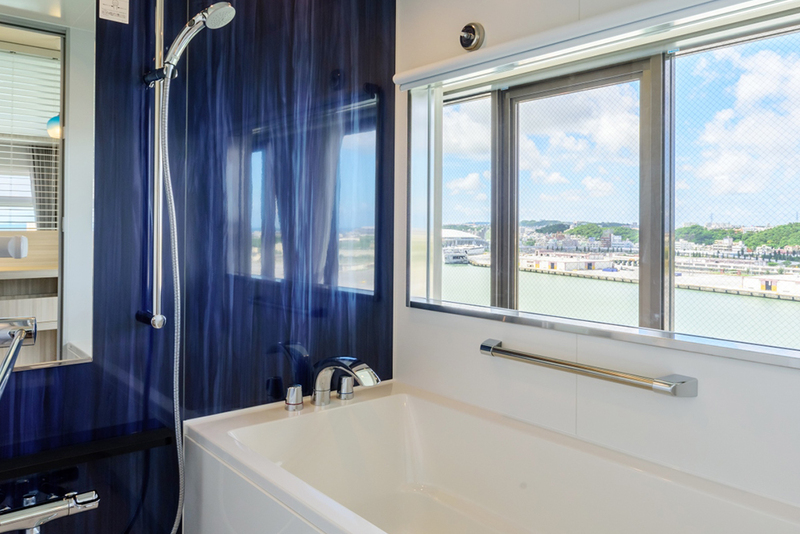 You can also enjoy views of aircraft taking off and landing, and boats coming in and out of port. 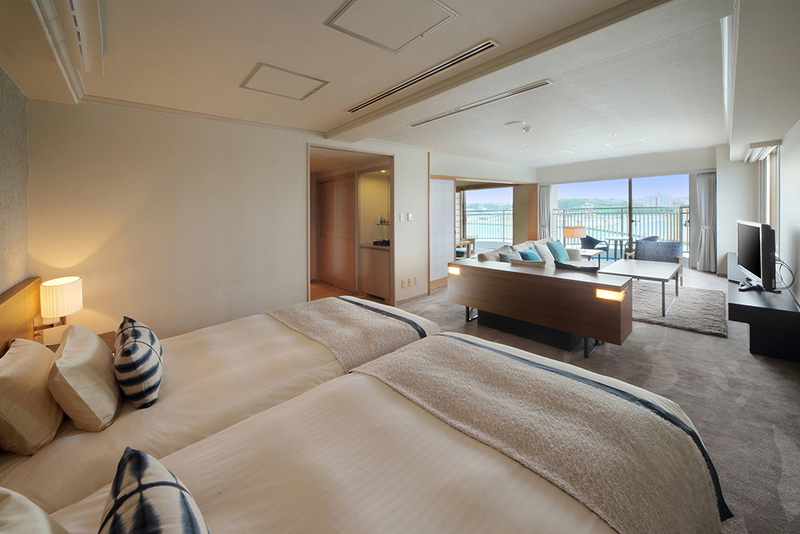 A Japanese-style suite room equipped with a balcony and Ryukyu-style tatami mats. 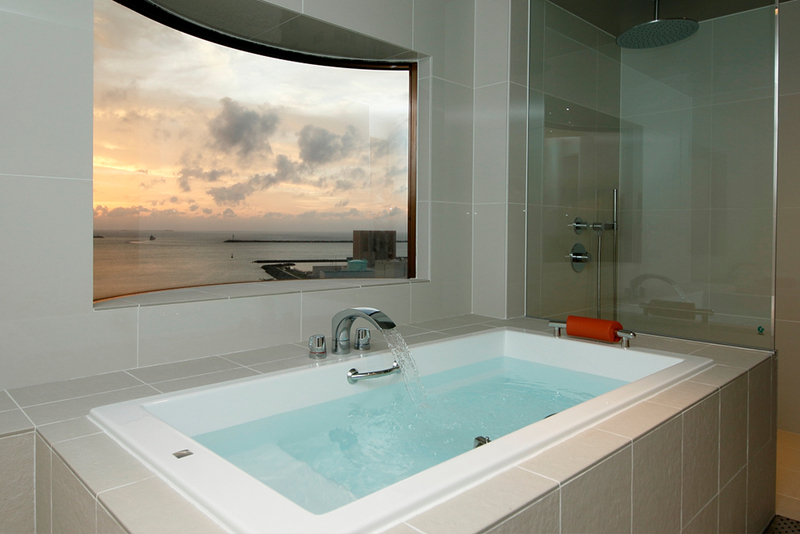 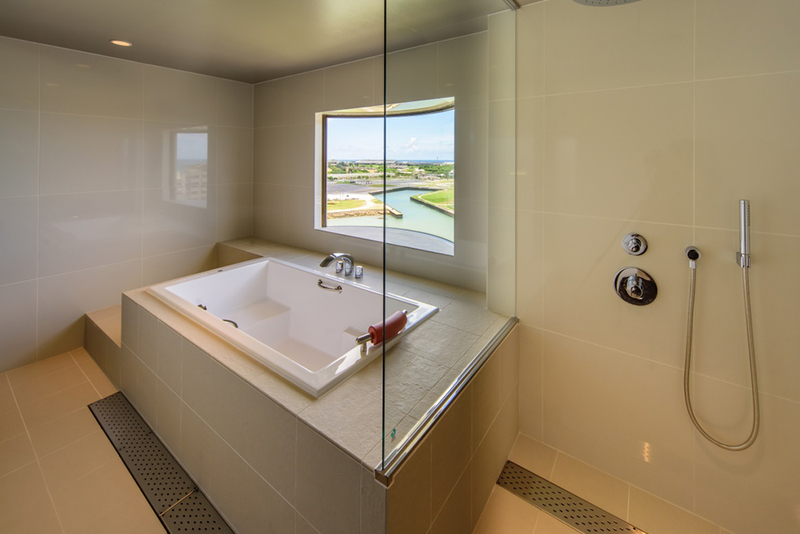 A king room that features a bath with an open view of the sea. 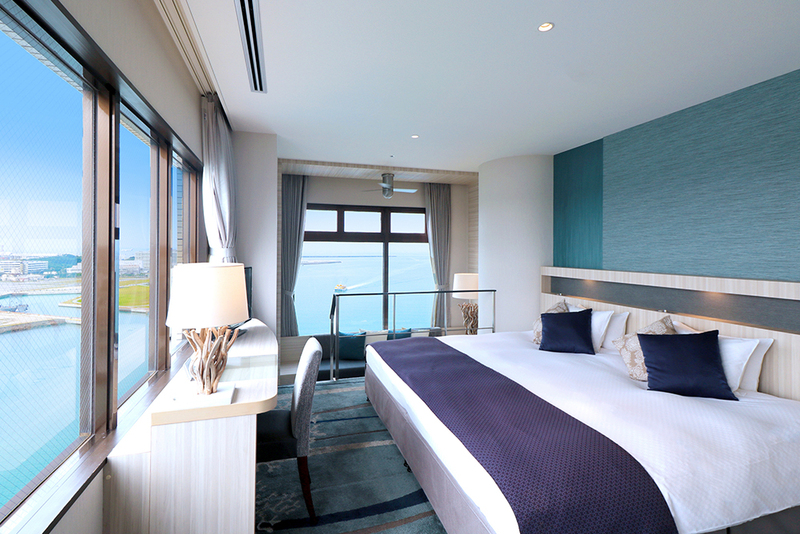 A corner king room having a large window with a view of the sea, offering a feeling of spaciousness. 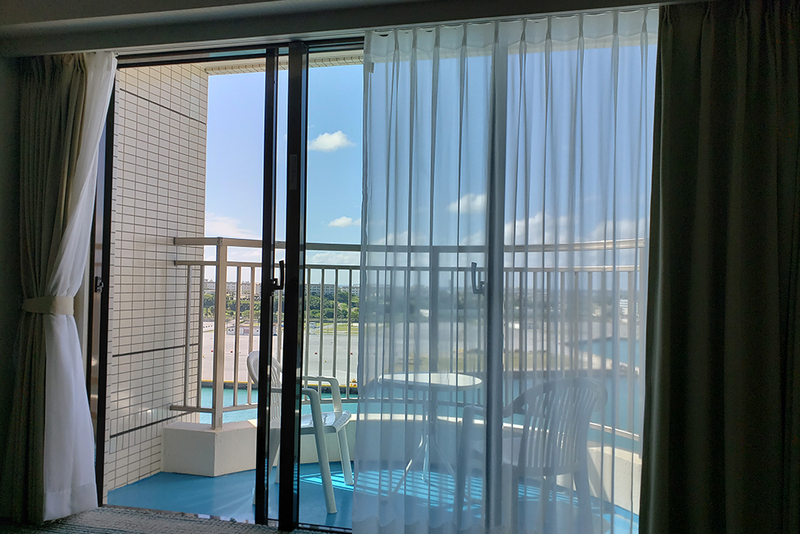 With a sunroom included, you can relax and enjoy the scenery. 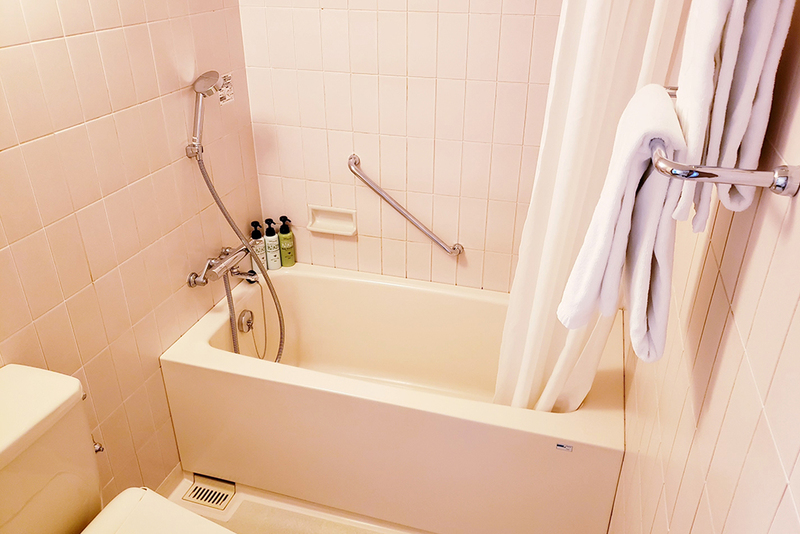 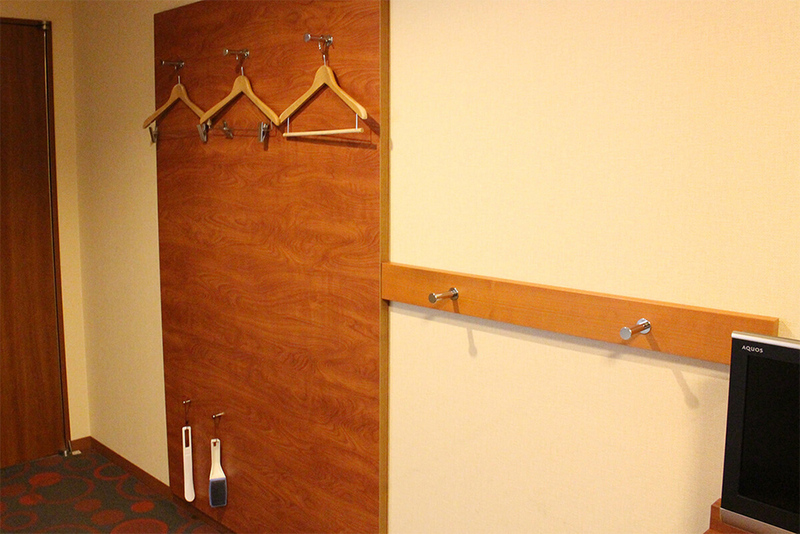 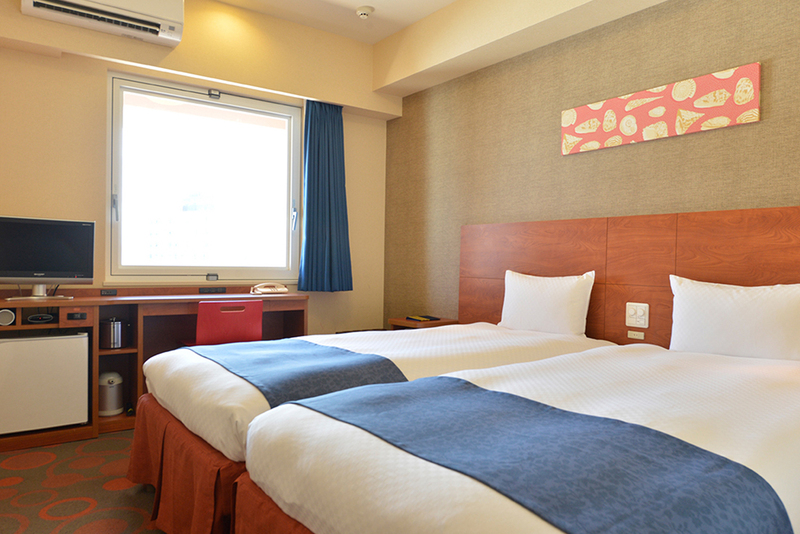 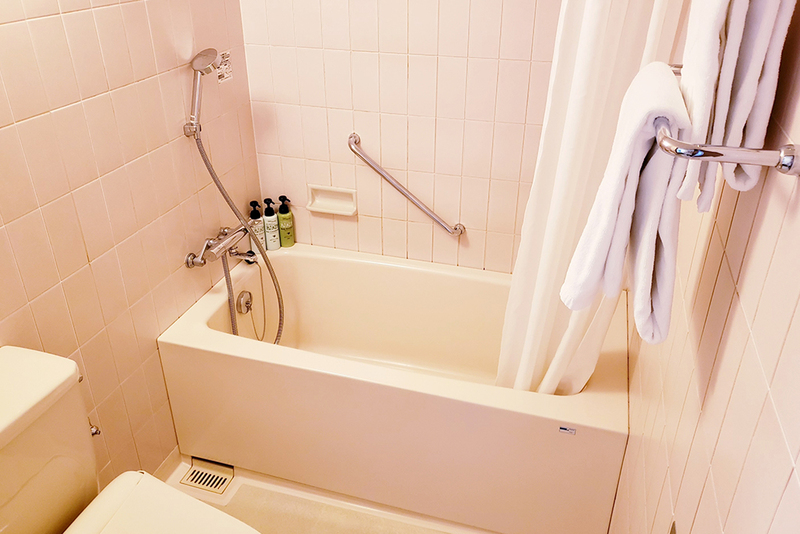 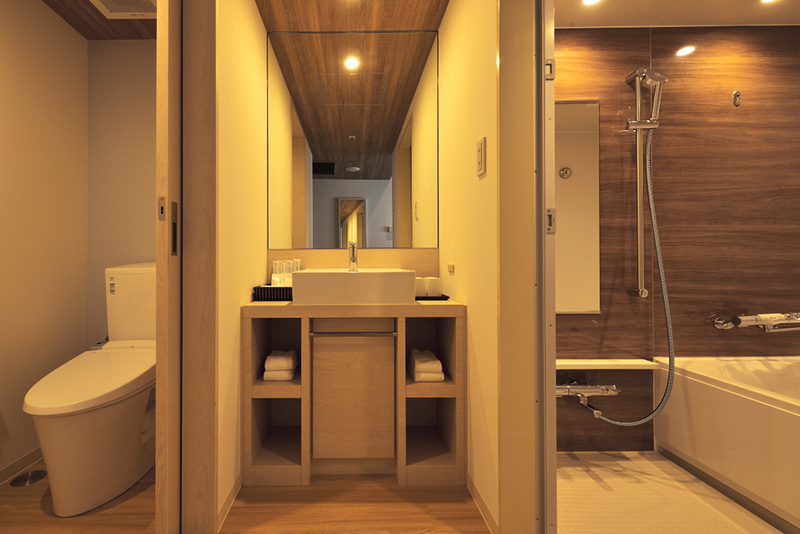 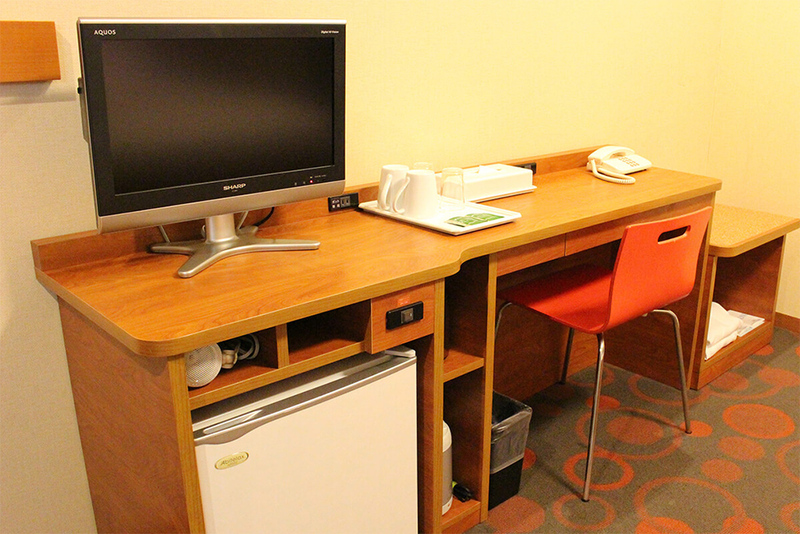 A functional king room that offers a separate toilet and a bathroom with washing area, and a 240-cm-wide king bed. 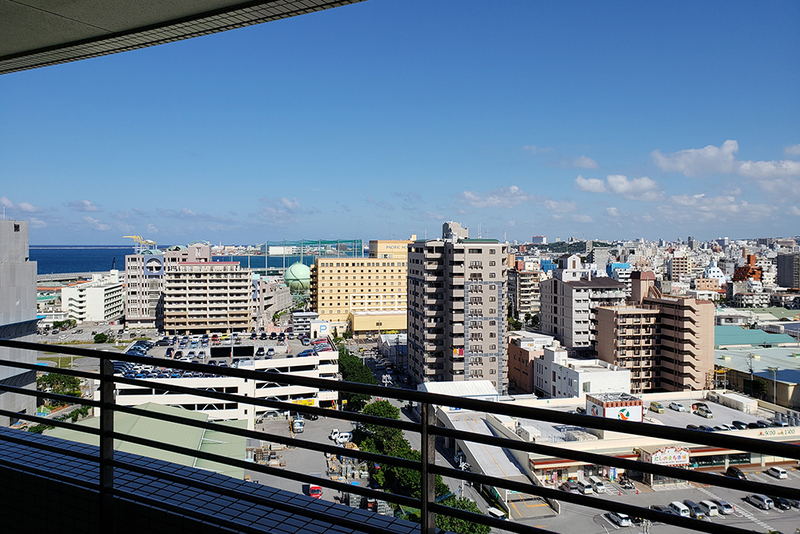 On a clear day, you can see as far as the Kerama Islands. 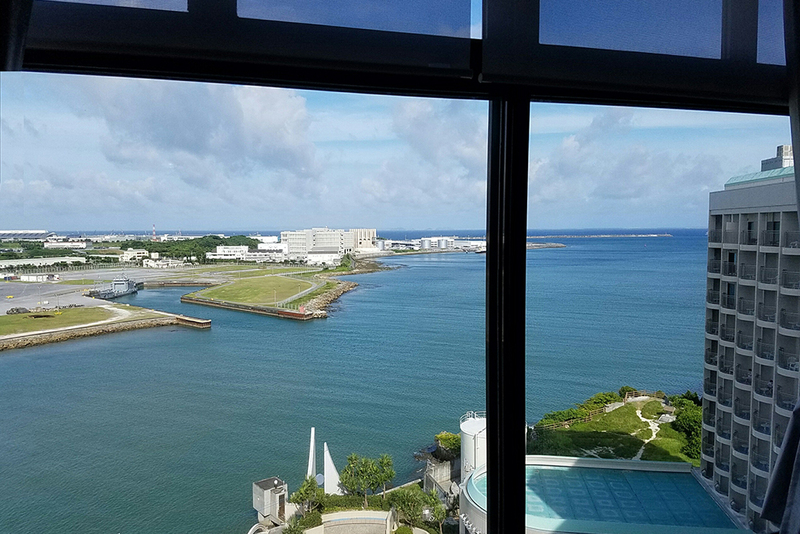 You can also enjoy views of aircraft taking off and landing, and boats coming in and out of port. 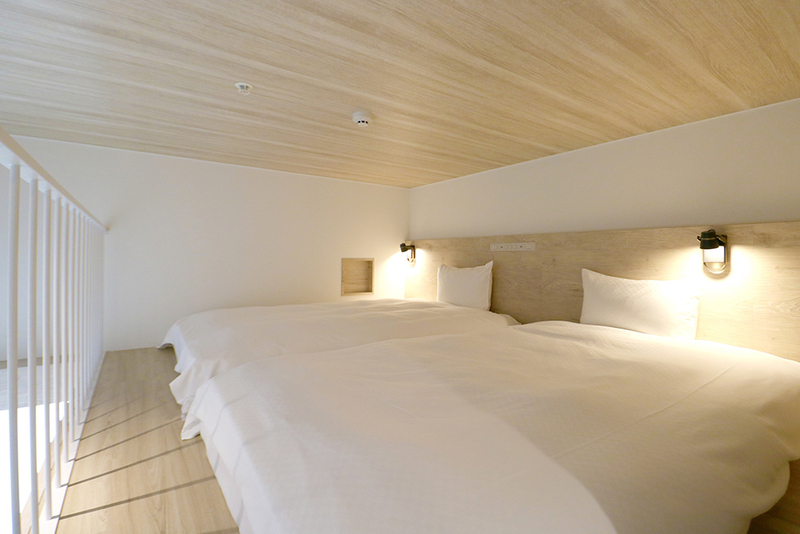 Sleeps up to two persons. 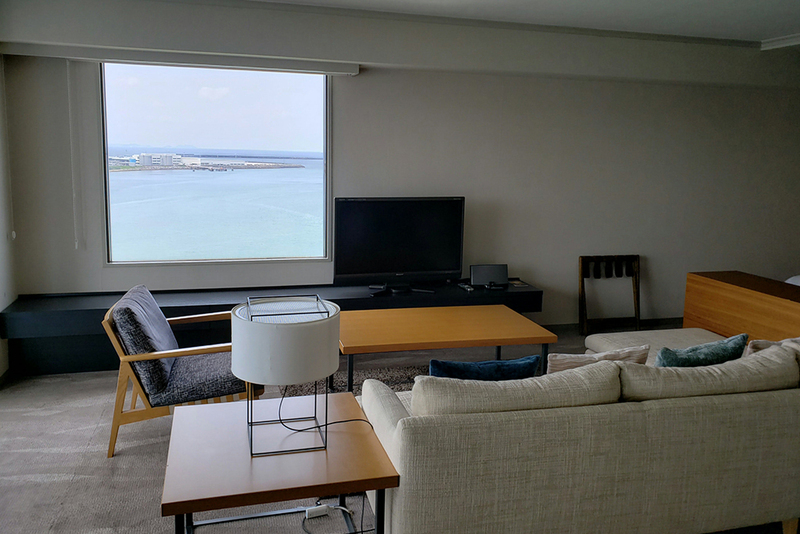 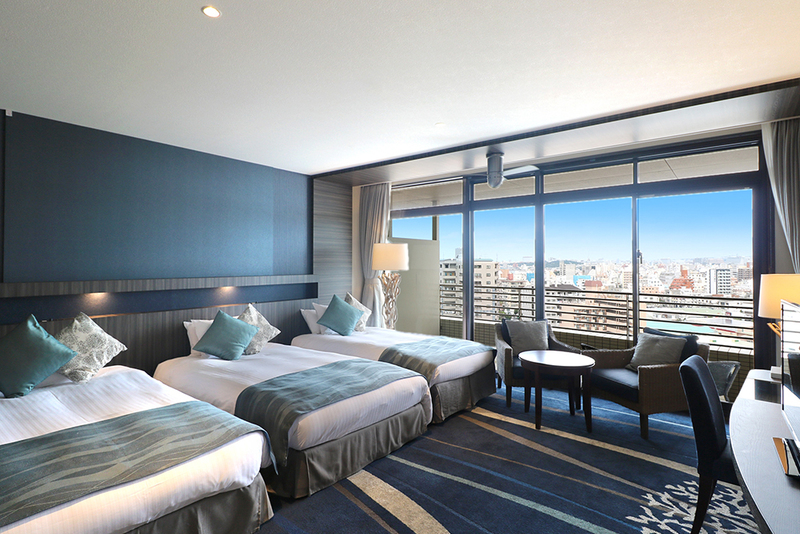 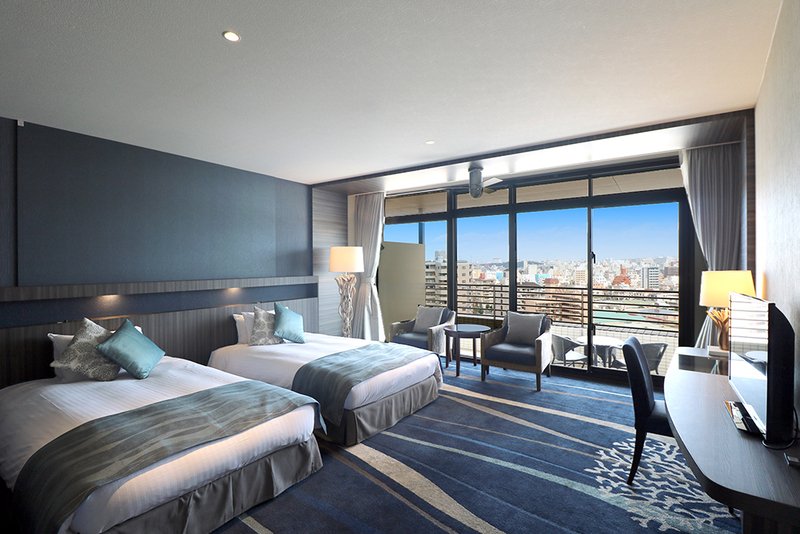 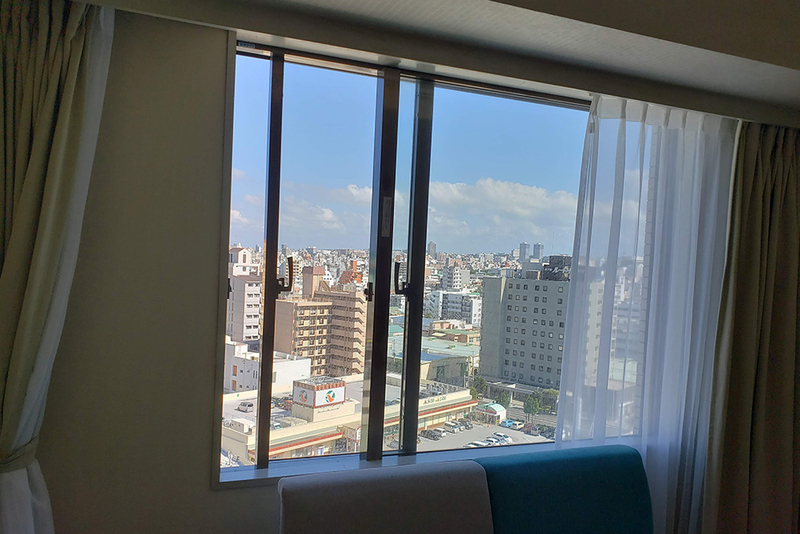 You can enjoy a relaxing time while being caressed by the breezes of Okinawa in this guest room with a balcony, offering night views of Naha City. 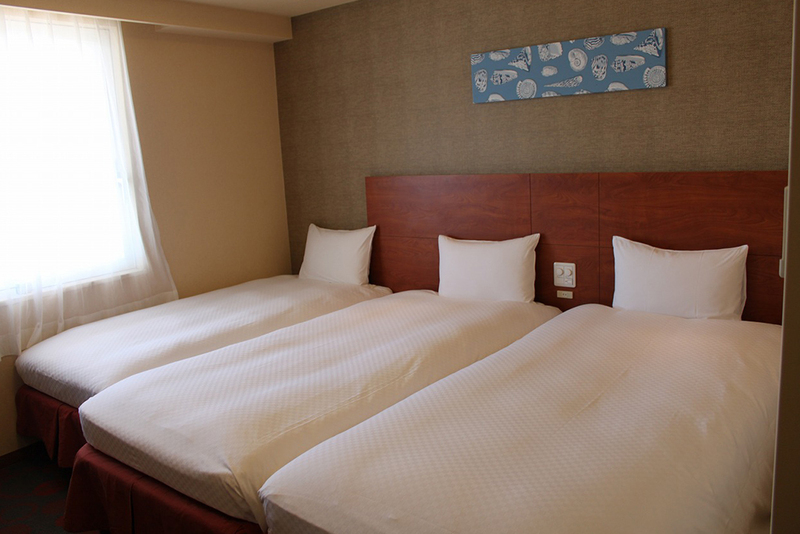 Sleeps up to three persons. 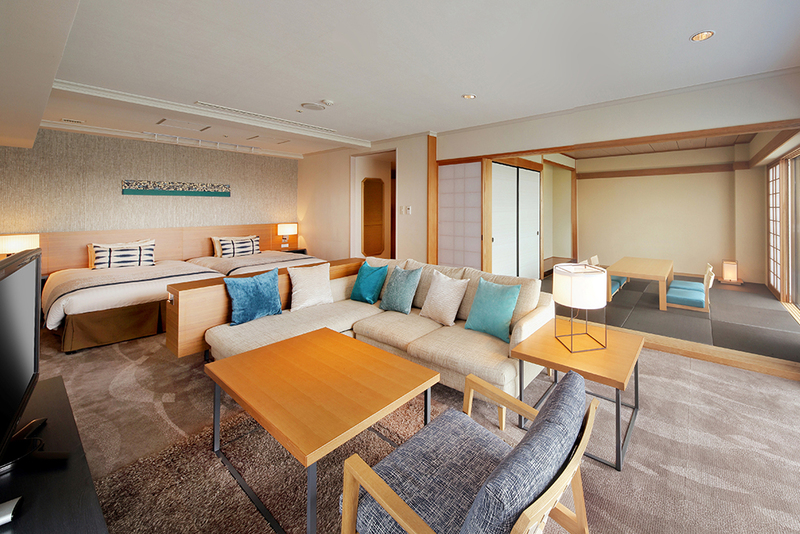 A twin room with a design inspired by the seas of Okinawa. 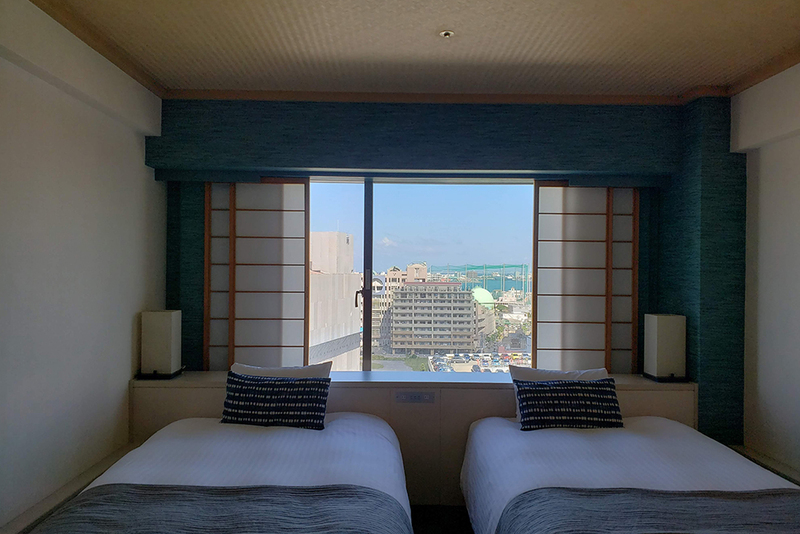 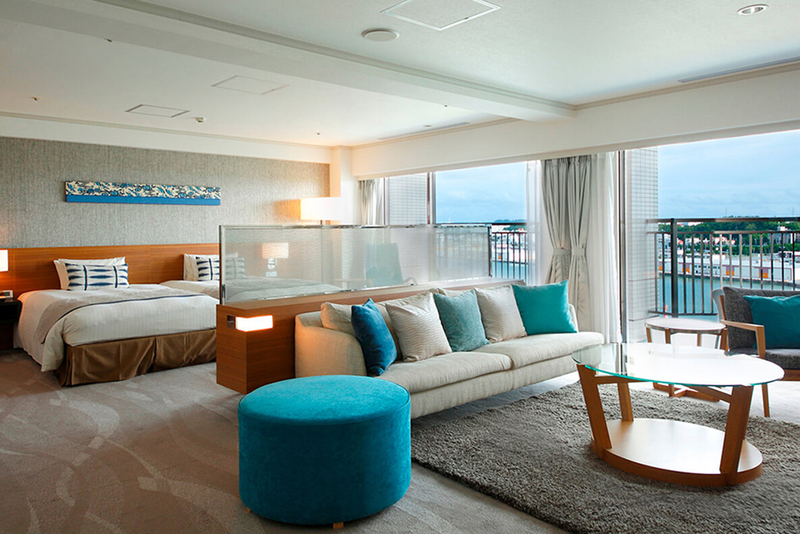 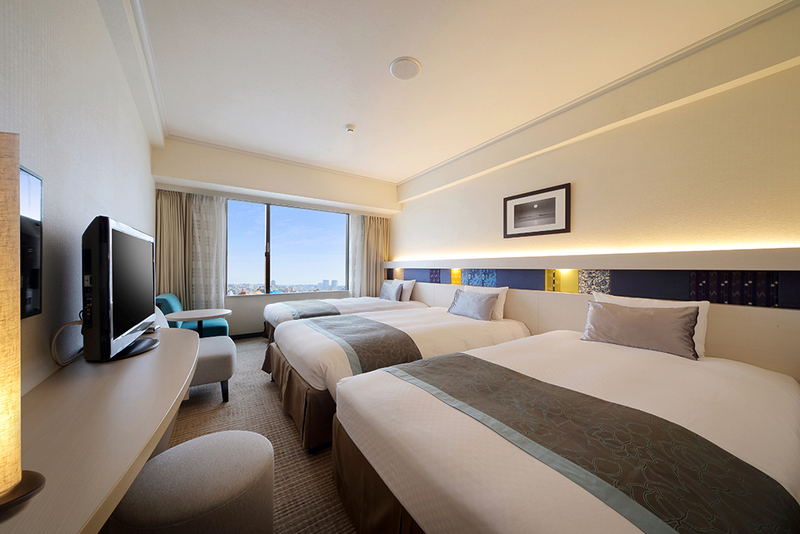 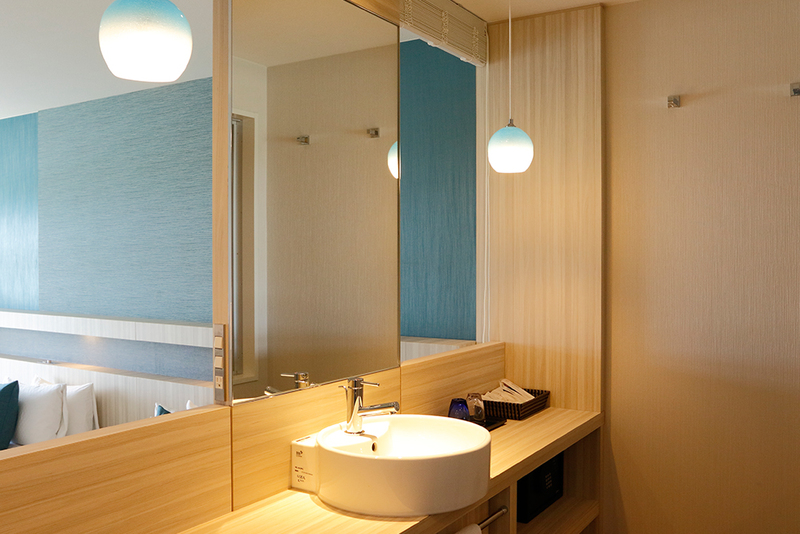 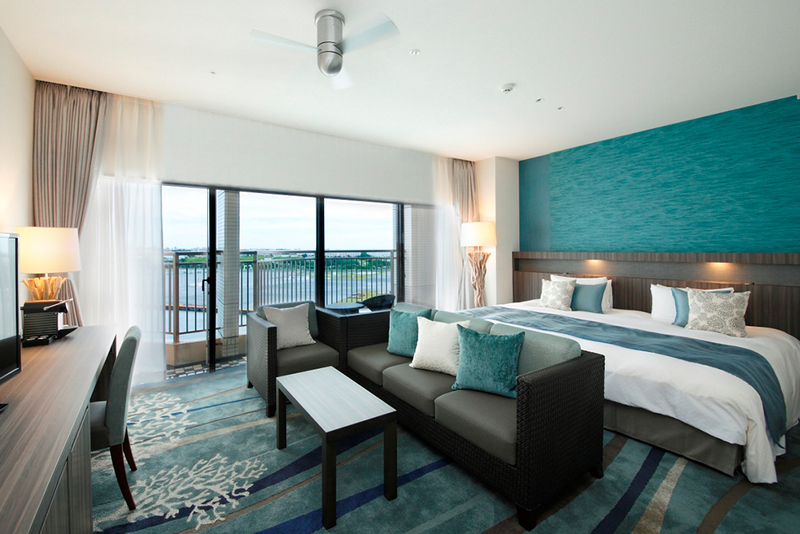 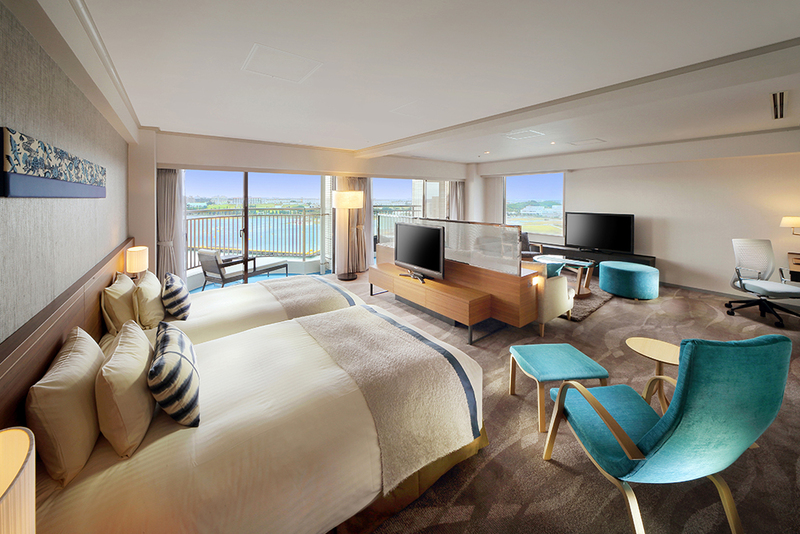 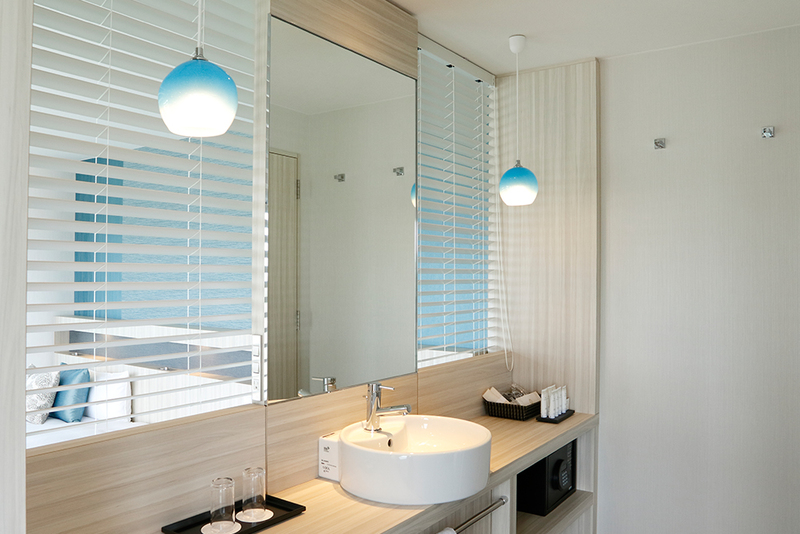 Enjoy a relaxing time while being caressed by the breezes of Okinawa in this guest room with a balcony. 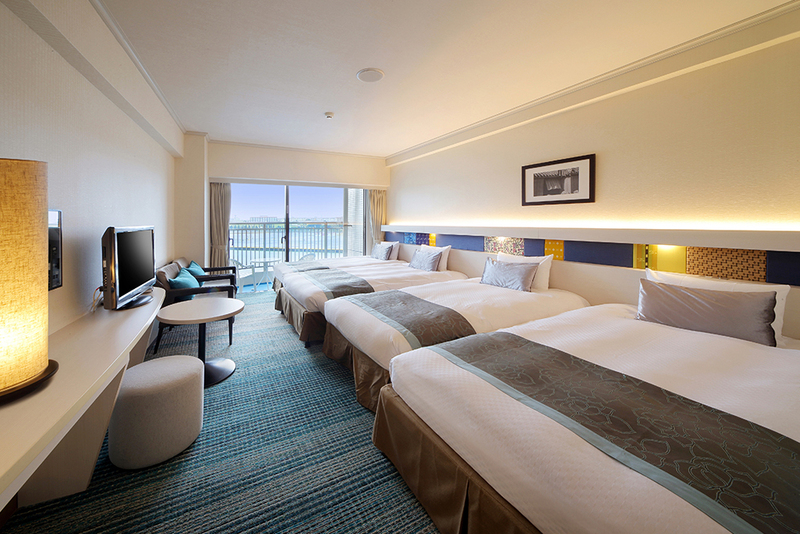 Sleeps up to four persons. 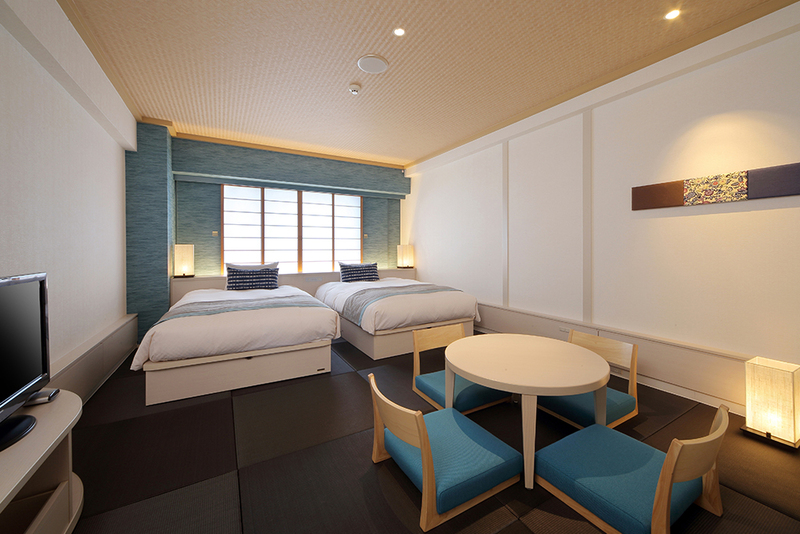 A twin room with a design inspired by the beaches of Okinawa. 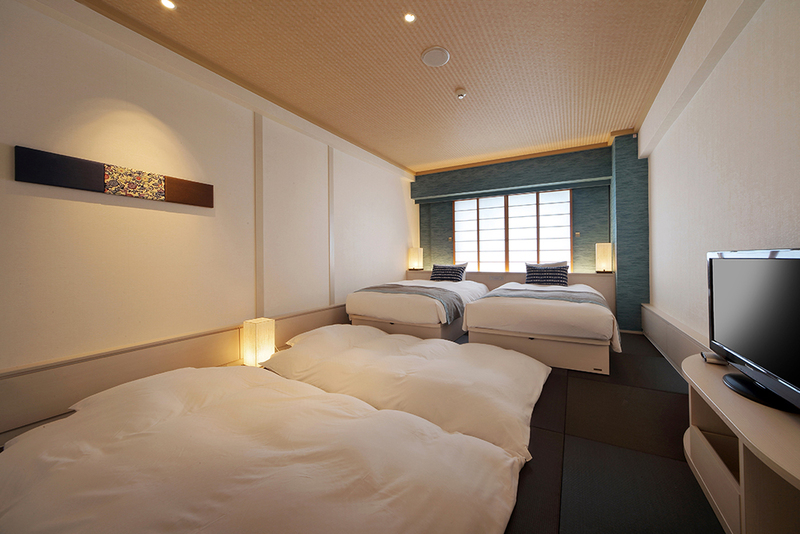 A Japanese-style room furnished with Ryukyu-style tatami mats and two beds. 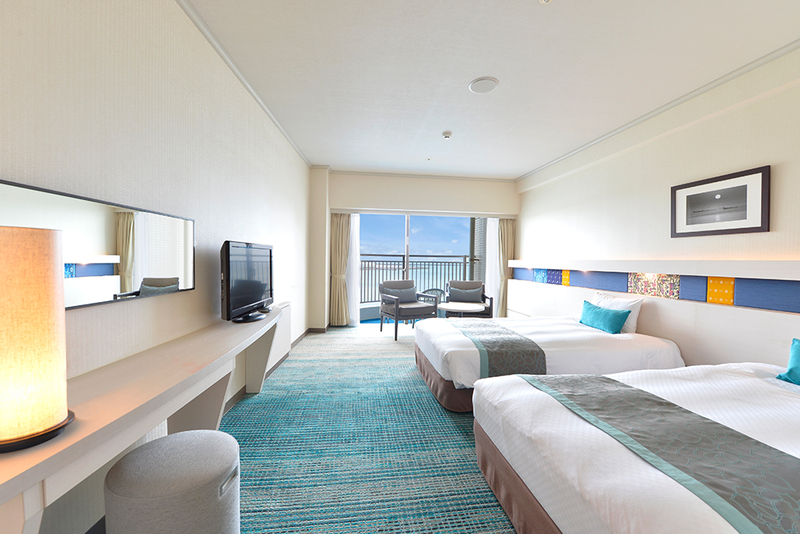 Hollywood twin room with a design inspired by the seas and sun of Okinawa. 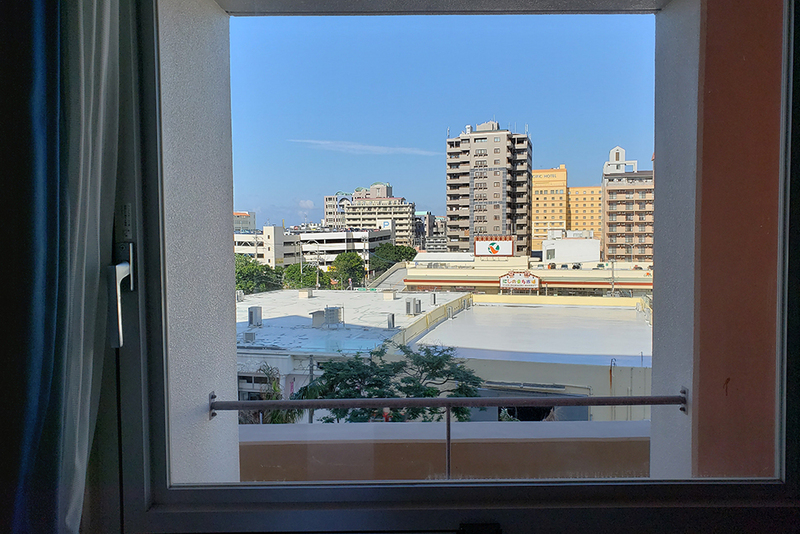 A maisonette-style room featuring a large window that fills the space with the Okinawan sun. 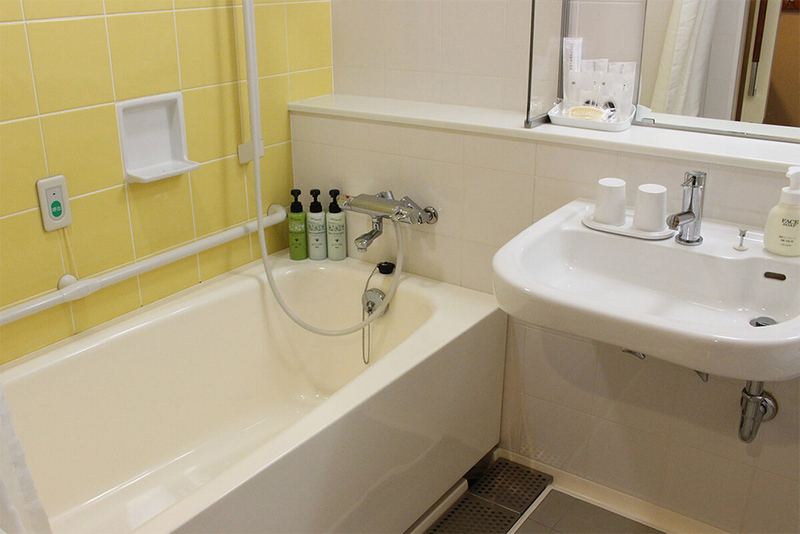 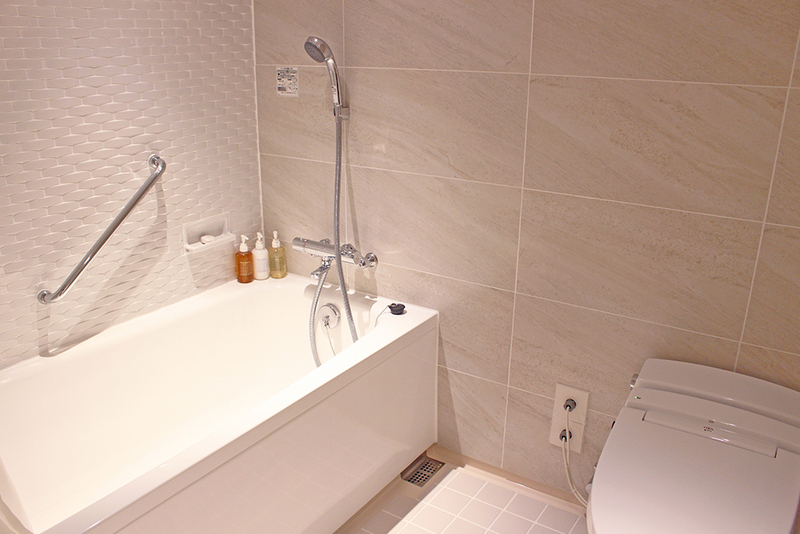 With a separate toilet and a bathroom with washing area, it can be enjoyed by groups or families in comfort. 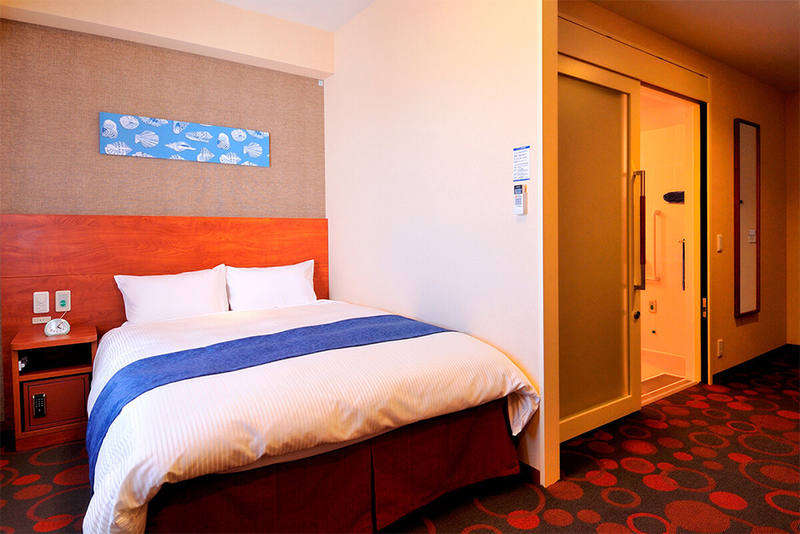 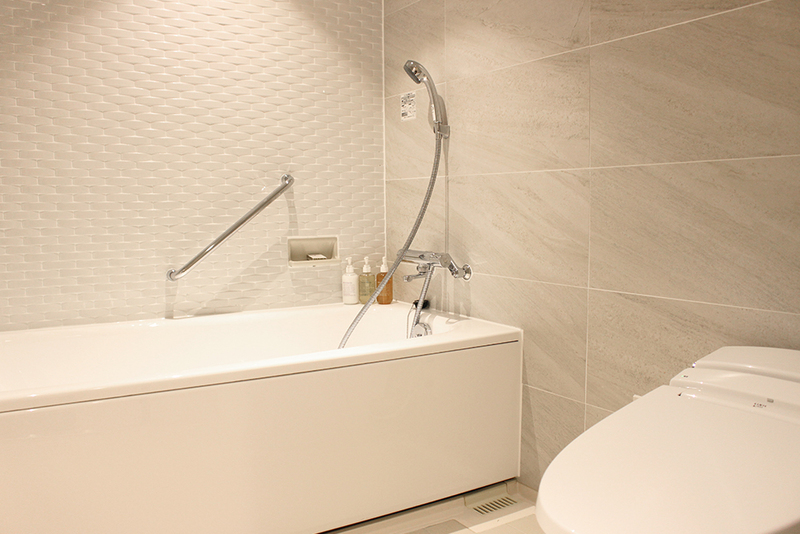 A universal-design guest room that is fully wheelchair accessible. 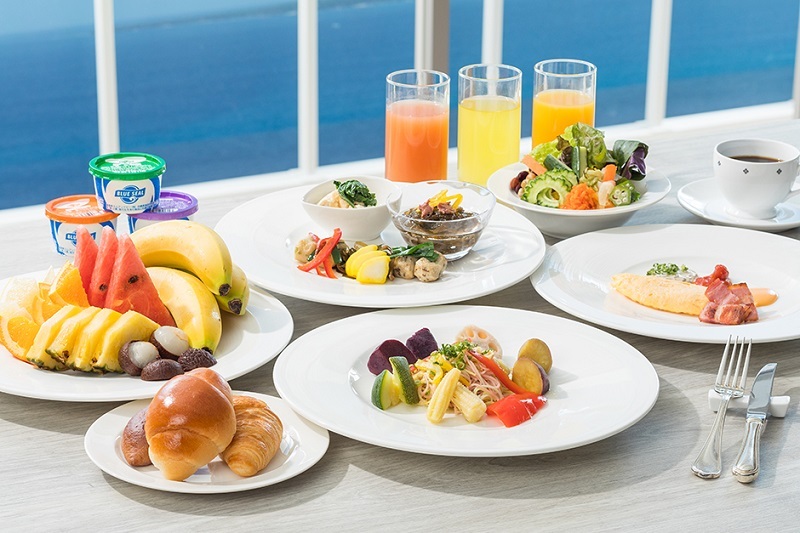 Prices are included of a consumption tax, a service charge will be added to your bill.